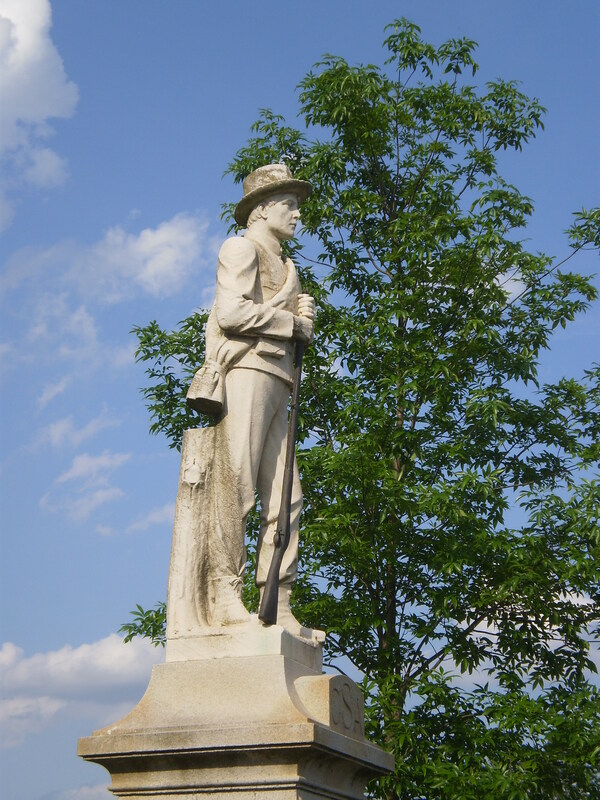 I keep trying to take a really decent picture of a Confederate soldier monument. One of these days I'm going to bring a ladder out and get on eye level with one of these bronze soldiers. Until then, I'm going to have to look up at them. I guess that's how we're supposed to approach them. This seems to me remarkably moderate in that it focuses on the sincerity and steadfastness of the soldiers, rather than the rectitude of their cause. 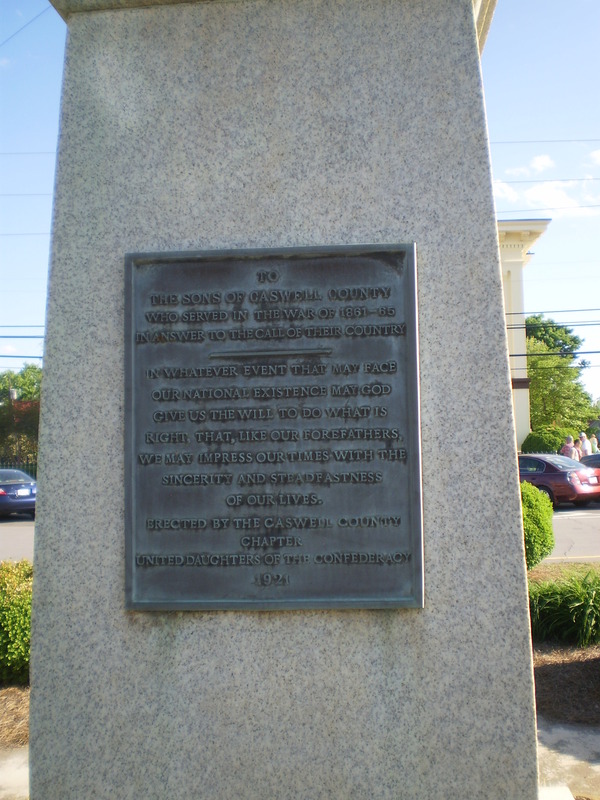 Recall, for instance, that the inscription on one side of the Sussex County, Virginia, monument is that "The principles for which they fought live eternally." 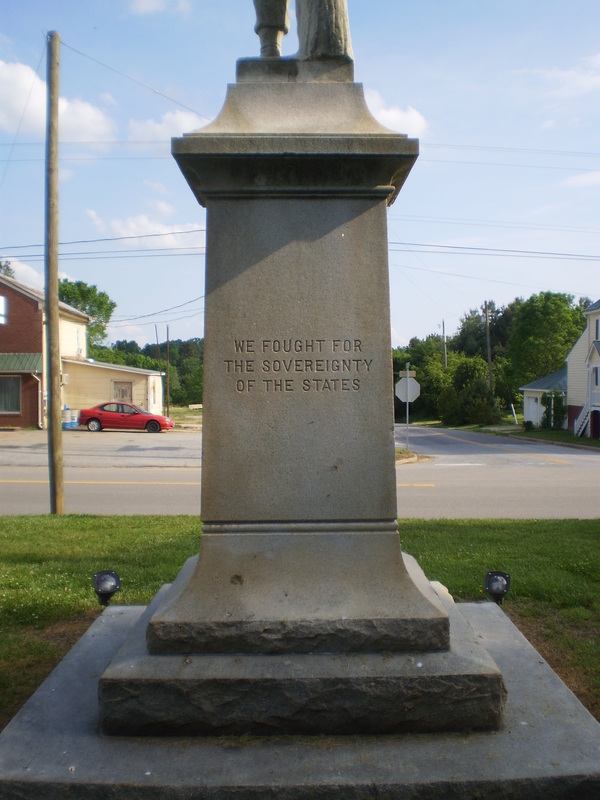 Somewhat more moderate, but still defiant, is the inscription on the Lunenburg County, Virginia monument that "We fought for the sovereignty of the states." The Lunenburg statue is here. 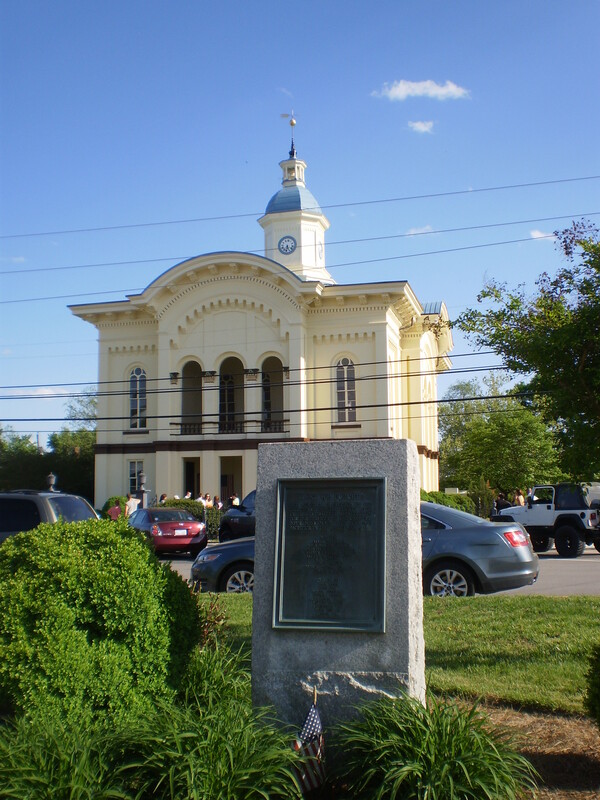 Also, the county seat of Caswell County is Yanceyville. You may recall that I recently posted about a World War I monunment in Yanceyville that segregates the names of soliders on the basis of race. Here is a picture of that WWI monument in the foreground and the Caswell County Courthouse in the background.